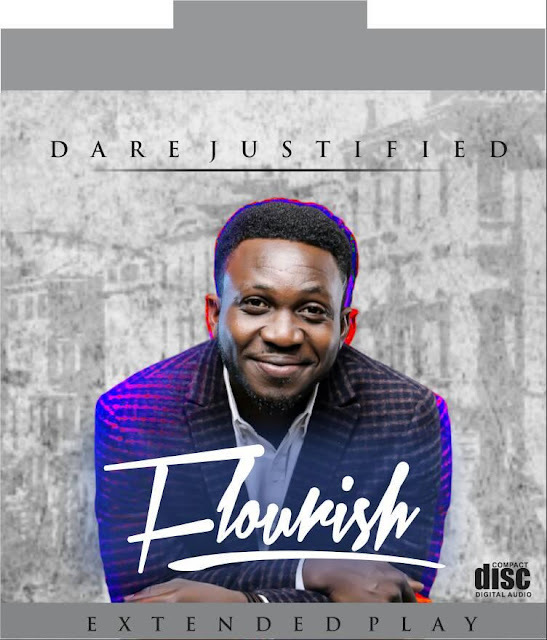 Sequel to the release of his smarshing debut single; "Endless Praise", Darejustifed five tracks extended Play (EP), titled Flourish, has found it's way into the heart of people across the globe. The song flourish is on track 3 of the EP and it's purely the testimony of God concerning you. It is adorned in prophetic lines just like the bible psalms with vivacious and enthusiastic tunes. Flourish delineates the realities of Grace in the life of every believer regardless of economic-downturn. Dare Justified is wildly regarded as a praise Maestro, and flourish is a true testament to that. The lyrics and the tune of this song will make you effortlessly be filled with joy and doubtless come again with testimony of a changed life. Other tracks in the EP include; Indiscribable , Follow you, That I may know you and Endless praise, are still available on the MTNmusic+, Spiricoco, Cloud9, Entertane and other song selling platforms worldwide.